Thangka einer imposanten Buddha Darstellung, in sehr warmem Farbeindruck. Der Thangka ist hervorragend geeignet zur Meditation. Thangka-Malerei mit Gold. Thangka of an imposing Buddha Shakyamuni representation. Very warm colors. 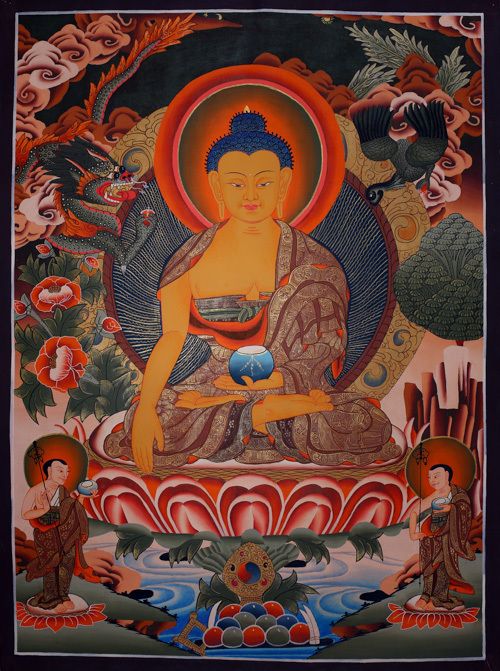 The Buddha-painting on this thangka is suitable very well for meditation. Thangka-painting with gold.